1971-1975 Musical College (Department of Keyboard Instruments of the Conductor-Choral Stream). 1978 - 1982 TVS MVD specialty: jurisprudence, qualification - lawyer. 1987 - 2007 Trained and initiated by the masters of the Sufi orders. 1987 - Studied Indo-European and Asian-Pacific esoteric traditions. 1990 - 1991 University of the Knowledge Society of the Uzbek SSR, Department of medical workers in the health care system, specialty - non-traditional methods of healing, classical and acupressure. 1999 - 2000 USAID / GTD ABA / CEELI "Introduction to Adverbial System - Rule of Law and Civil Affairs". 1975 - 1976 Laboratory assistant of the stability laboratory of the Trust "Uzhydroenergostroy"
1976 - 1987 Service in the CA and ATS. 1987 - 2006 Attorney at the Tashkent Regional Bar Association (specialization - criminal, civil, declarative and case law). 2004 - Chairman of the International Noospherical Conference Kuk belbog. 2009 - Chairman of the Verkhovna Rada of the Public Peacemaking Organization "The Origins of Prosperity". 1999 - 2001 Together with "Tashgorkompriroda" initiated and headed the socio-ecological movement "Kuk belbog"
2001 - Together with FDD created and developed the Movement that draws public attention to the problem of ecology of the noosphere, human ecology and consciousness. 2001 - 2003 - Lecturer of the Tashkent prosecutor's office on topics of localization and conflict resolution in interpersonal communication. 2004 - Activated the "Program of Assistance, Stabilization and Security of the Countries of Central Asia"
2004 - Together with the Chinese Cultural Center in Uzbekistan initiated the establishment of the International Non-Governmental Non-Profit Organization "Cultural Center in Support of the Shanghai Cooperation Organization"
2004 - Activated the Program "Science and Education - the Source of State Power"
2005 - Headed "Public Center for Civil Society Support"
2005 - With the Tashkent city administration (khokimiyat) created a permanent working body - "Public Participation in Tashkent’s Improvement"
2005 - Together with the Fiscal Committee of the Republic of Uzbekistan created a permanent working body "Public Center for Promoting Economic Progress". 2005 - Together with the Main Directorate of Fire Safety and the Ministry of Internal Affairs of the Republic of Uzbekistan created a permanent working body "Public Fire Safety Center". 2005 - Together with the Russian Academy by G.V. Plekhanov created the permanent working body "Center for the Cultural and Economic Commonwealth of the Countries of Central Asia." 2005 - 2006 Concluded contracts and agreements on long-term partnership and joint activities with representatives of organizations and institutions of branches of executive power whose implementation was regulated by the action plan. The initiative has become widespread. 2006 - In the very center of Tashkent near the cafe "Blue domes"on the bright day of the holiday "Navruz" founded Rossi Garden. “He opened a series of "Gardens of the World" that will represent the rich flora of different countries of the world”, reports the newspaper Narodnoye Slovo. The decision on laying this Garden was adopted by the "Headquarters of Public Participation in the Improvement of Tashkent". The international organizing committee Anor (Anor means Pomegranate, a tree that symbolizes the unification of nations) was established to found a large-scale nature complex. (UzA, Jahon). 2007 - Initiated and headed the International Mass Movement of supporters of strengthening the peace-loving orientation of states and civil society "The Sources of Prosperity" in accordance with the legal course by methods of people's diplomacy. 2007 - Together with the Administration of the Survikinsky District of Volgograd Region of the Russian Federation, in order to monitor the efficiency of the improvement of territories, created the "Public Participation Center of Surovikino"
2008 – Jointly with the Ministry of Communications of the Russian Federation in the State Duma initiated the discussion about mass movement with its consequent realization. The main direction of this movement is involvement of veterans, pensioners and older people in the development of computer and Internet resources contributing to the strengthening of the dialogue of generations and transferring of young people to successful experience and knowledge. 2008 - Together with the municipal television of the Surovikinsky district of Volgograd region and the International Union of Cossacks of Russia and other counreis created the public Cossack television "Shlyakh"
2009 - Together with the Administration of the Volgograd Region established and headed the "Center for Eurasian Culture and Cooperation"
2010 - Initiated and headed the International Project of Public Diplomacy "The World Encyclopedia of Peacemaking"
2010 - Initiated projects "Encyclopedia of Russian peacekeeping" and "Encyclopedia of peacekeeping of the subjects of the Russian Federation"
2010 - Initiated the creation of the "Center for Public Diplomacy" at Volgograd State University (VolSU) 2013. 2010 - In coordination with the Ministry of Emergency Situations of the Russian Federation established the "Public Center for Civil Defense, Emergency Situations and Elimination of Consequences of Natural Disasters"
2010 - With the support of the Administration of Volgograd Region founded and headed the "Headquarters for Public Participation in the Improvement of the Volgograd Region"
2011 - Monitored personal opinions of all deputies of the Volgograd Regional Duma on the need to strengthen the peace-loving direction of human life. 2011 - Founded the "Legal Clinic of Public Diplomacy"
2012 - 2013. For the purpose of working out effective models for strengthening the peaceful orientation of the vital activity of diverse subjects, initiating the attraction to the foundation of Park “Mir” and friendship and international conferences consolidated the assets of the Azerbaijani diaspora. Provided support for the development of the initiative in the mainstream of the legal stream. As a result, the President of Azerbaijan I.G. Aliyev in 2013 fully provided the implementation of the project in the Center of Volgograd. 2013 - With the support of the Municipality of Volzhsky initiated the project "Volzhsky Public Workshop"
2014 - With the participation of the Administration of the town Surovikono, Volgograd region, established the gender movement "World of the Cossack Women"
2015 - In coordination with the executive power established a public center "The World Without Drugs". 2016 - Contributed to civil society in counteracting abuse, slovenliness and recklessness of the legislative, executive and judicial power. 2017 - Activated the strengthening of the effectiveness of the International Project "World Encyclopedia of Peacemaking". Introduced the initiative in the depository of the main group of multilateral treaties of the United Nations reflecting the key UN goals in the issues of sustainable development. 2017 - Activated the strengthening of the effectiveness of the National Project "Encyclopedia of Russian Peacekeeping"
1971 -1975 Музыкальный колледж (отделение клавишных инструментов дирижерско-хорового потока). 1978 - 1982 ТВШ МВД специальность правоведение, квалификация – юрист. 1987 - 2007 Проходил обучение и посвящение у мастеров суфийских Орденов. 1987 - Приступил к изучению индо-европейских и азиатско-тихоокеакских эзотерических преданий. 1990 – 1991 Университет общества «Знание» УзССР, факультет медработников в системе здравоохранения, специальность – нетрадиционные методы оздоровления, классический и точечный массаж. 1999 - 2000 USAID / GTD ABA / CEELI «Введение в адвербиальную систему - Верховенство закона и гражданские дела». 1976 - 1987 Служба в СА и ОВД. 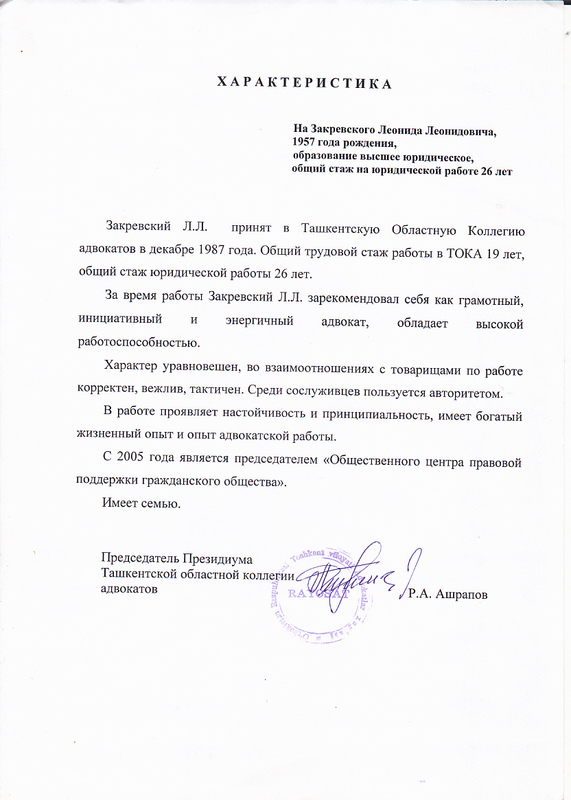 1987 - 2006 Адвокат Ташкентской Областной Коллегии адвокатов (специализация – уголовное, гражданское, декларативное и прецедентное право). 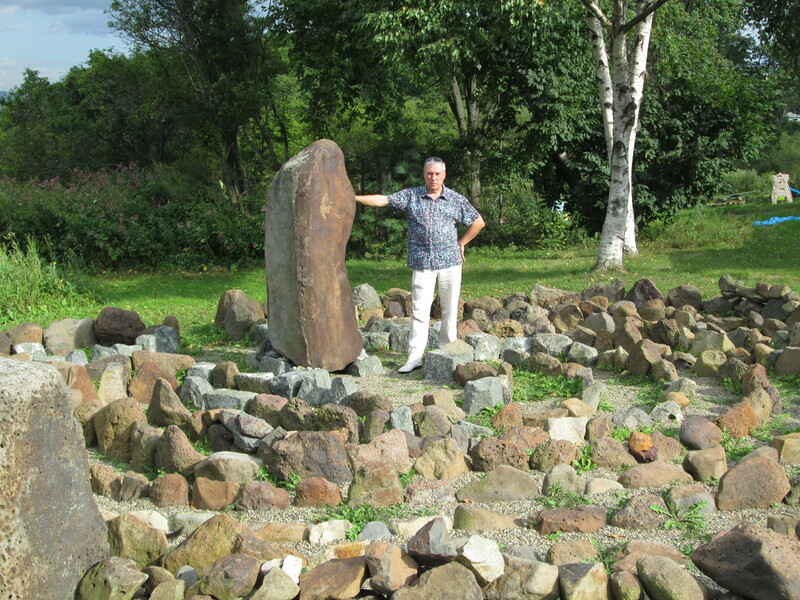 2004 - Председатель «International Noospherical Conference Kuk belbog». 2009 - Председатель ВР Общественной Миротворческой Организации «Истоки процветания». 2001 - Овместно с FDD создал и развил Движение привлекающее внимание общественности к проблеме экологии ноосферы, экологии человека и его сознания. 2001 - 2003 - Лектор работникам прокуратуры г. Ташкента по темам локализации и устранения конфликтов в межличностной коммуникации. 2005 - Совместно с Налоговым Комитетом РУз создал постоянно действующий рабочий орган «Общественный Центр содействия экономическому прогрессу». 2005 - Совместно с Главным Управлением пожарной безопасности МВД РУз создал постоянно действующий рабочий орган «Общественный Центр противопожарной безопасности». 2005 - Совместно с Российской Академией им. Г.В. Плеханова создал постоянно действующий рабочий орган «Центр культурного и экономического содружества стран Центральной Азии». 2005 – 2006 Заключил договора, соглашения о долгосрочном партнерстве и совместной деятельности, с представителями организаций и учреждений ветвей исполнительной власти, выполнение которых регламентировано планом мероприятий. Инициатива получила широкое распространение. 2006 - В самом центре Ташкента, рядом с кафе «Голубые купола», в светлый день праздника «Навруз» заложил Сад Росси. Он открыл серию «Садов мира», которые представят богатую флору разных государств мира, передает газета «Народное слово». Решение о закладке этого Сада принял «Штаб общественного участия при благоустройстве г. Ташкента». Для реализации крупномасштабного природного комплекса создан международный оргкомитет «Анор» - «Гранат», дерево, которое символизирует объединение народов. (УзА, Жахон). 2007 - Методами народной дипломатии, в русле правового течения инициировал и возглавил Международное Массовое Движение сторонников усиления миролюбивой направленности государств и гражданского общества «Истоки процветания». 2008 - Инициировал в ГД РФ обсуждение и в дальнейшем реализацию совместно с Минкомсвязи РФ массового движения генеральным направлением которого является вовлечение участников, ветеранов ВОВ, пенсионеров и пожилых людей в освоение компьютера и интернет ресурсов способствующих укреплению диалога поколений, передачи молодежи успешного опыта и знаний. 2010 - Инициировал создание «Центра публичной дипломатии» при Волгоградском Государственном Университете (ВолГУ) 2013 г. 2011 - Осуществил мониторинг персональных мнений всех депутатов Волгоградской областной Думы на предмет необходимости усиления миролюбивой направленности жизнеде6ятельности человека. 2012 - 2013. С целью отработки эффективных моделей усиления миролюбивой направленности жизнедеятельности разнородных субъектов, инициацией привлекательности закладки парка Мира, дружбы и международных конференций консолидировал активы азербайджанской диаспоры. Обеспечил сопровождение развития инициативы в русле юридического течения. В результате чего, Президент Азербайджана И.Г. Алиев в 2013 г полноценно обеспечил воплощение проекта в ЦПКО г Волгограда. 2015 - По согласованию с исполнительной властью учредил общественный Центр «Мир без наркотиков». 2016 - Содействовал гражданскому обществу в противодействии злоупотреблениям, разгильдяйству и бесшабашности законодательной, исполнительной и судебной власти. 2017 - Активировал усиления эффективности Международного Проекта «Всемирная энциклопедия миротворчества». Внес инициативу в депозитарий основной группы многосторонних договоров ООН, отражающих ключевые цели ООН в вопросах устойчивого развития.